Florida winters boast some of the most comfortable weather in the whole country. No wonder so many people choose to spend the chilly months in the Sunshine State. But for year round residents, there is definitely a tradeoff. Balmy winters give way to thick, heavy summers, when temperatures and humidity levels can make even the hardiest Floridians reluctant to set foot outside. During those summer months, air conditioning maintenance is a must, to keep both your body and your wallet from overheating. 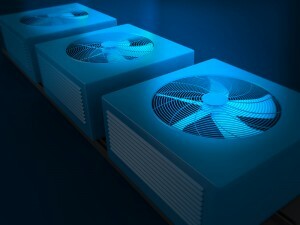 Cooling the air inside your house can be a complicated process. Ozone friendly refrigerant is pumped into a coil, and air passed over that coil is subsequently cooled before continuing on through your ducts and vents, which, along with your walls and roof, need to be properly insulated and sealed for effective cooling with minimum air leakage. With heating and cooling services costing Americans an average of $1,000 annually, making sure your system runs at peak efficiency is crucial. But there is an even more compelling reason to keep up with your air conditioning repair and maintenance. Studies have suggested that keeping your home environment cooler can play a part in your life expectancy. Comfort… lower energy bills… a longer life… What more reasons could you possibly need to keep your AC in peak running condition? Luckily, when it comes to air conditioning duct cleaning, air conditioning installation, or air conditioning repair Venice FL offers a great selection of Class A technicians and servicers to choose from. Finding a qualified company is as easy as opening the phone book or doing a quick Internet search. Remember, with regular maintenance, you may be able to avoid air conditioning repairs before they even happen, so you can keep cool and comfortable all summer long.